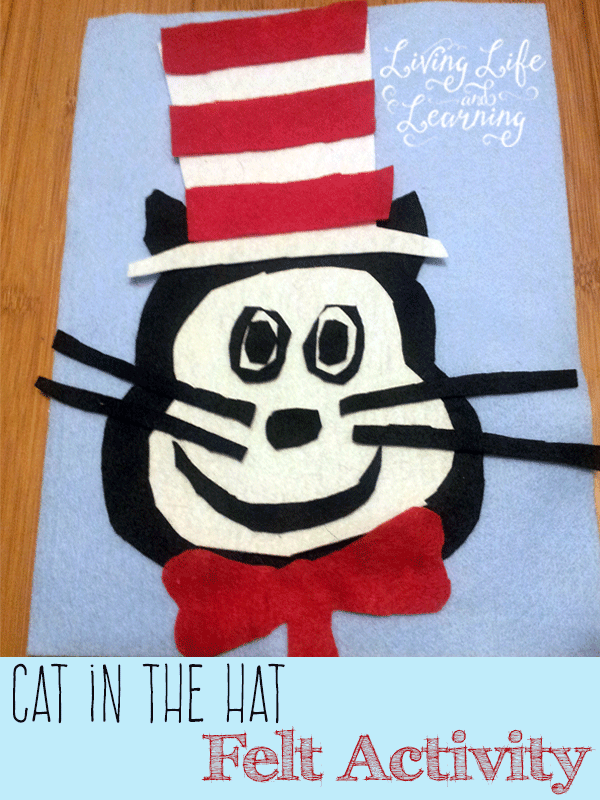 A lot of great books we’ve read when my kids are young are the Dr. Seuss books, this Cat in the Hat felt craft project is a great way to compliment the Cat in the Hat book. 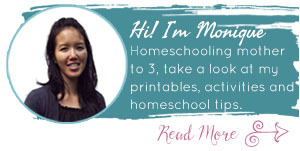 This was easy for mama to make and is a great activity to stick into a busy bag for your little one to take out whenever they please. Dr. Seuss books are great for babies up to early readers, once your child is able to read they make great books for them to read on their own because of the repetitive nature. I really don’t know how many times I’ve read each of these books, too many to count and I’ve done so many times with each student and they still love it so we’re still going strong. I drew all of my templates out onto paper first and then pinned them to the felt and cut them out, I didn’t really worry about the eyes and having everything lined up perfectly as you can tell, my daughter didn’t notice. I cut the black head and ears out as one piece, the white hat is one piece as well and I made red stripes to overlay it. I was just going to stick to the head but my daughter figured out that I had made the Cat in the Hat so she wanted me to include the bow tie as well. This was more complicated to cut out but it didn’t require any glue or more detailed work with markers which was nice. Don’t forget to check out my other felt activities such as Mo Willems The Pigeon, Felt Pizza and Felt Dinosaurs. I love this idea! My son is totally into the Cat in the Hat book right now, and I recently made a felt landscape with trees, birds etc. that he was moderately into. I bet this will be a big hit. Thanks! Great idea! Kids love Dr. Suess and Feltboard game! I love this idea, but I’m really craft-challenged! Are your templates here somewhere? Unfortunately, I do not at this time.